Just added in the vintage shop! 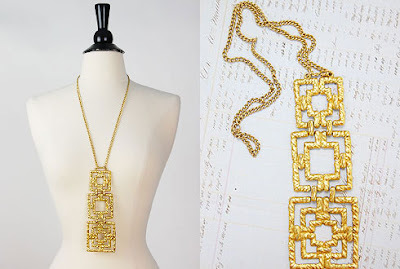 Two statement making vintage pendant necklaces from the 1970s! Although, the hinged gold one could be late 60s since it has more of a geometric shape. I love the hinged gold necklace. I can already see it on a long black dress. 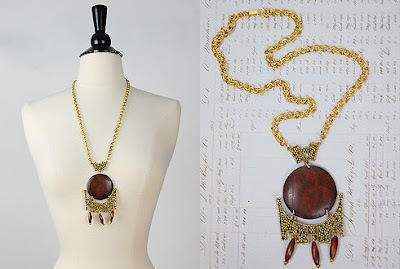 Such a necklace could really upgrade any black dress, blouse or any other cloth. Would you wear it with white too?